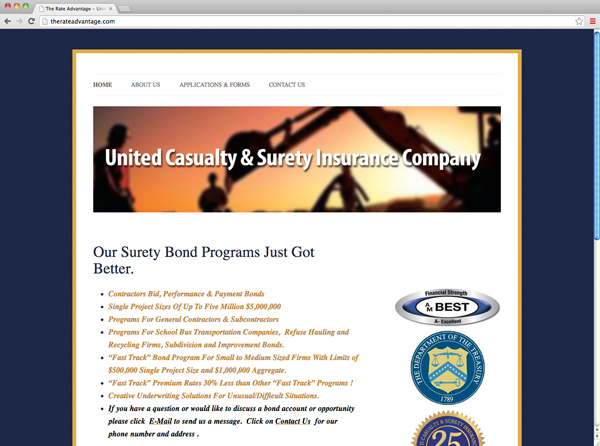 Todd Carrigan runs a very busy insurance company, and his surety bonds are a big part of the business. He tried building his own website with free software, but it didn't look as professional as his company should, and it was impossible to make it do what he wanted. He hired us to build a website that reflected his company's stature, and was very easy for him to update. He updates it constantly, and has even more ideas for adding new functionality.